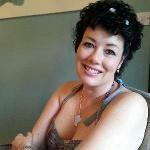 Jayne writes about her MDS diagnosis and treatments leading up to her stem cell transplant in July 2012. This article was published in the MDS UK Newsletter 3 and 4 – in January 2013 – and Sept 2013. "I lived 42 years with my original blood and immune system; the plan is to live 42 years with my new blood (I changed from O+ to A+), to grow old with Martin, to see my children grow up and to be a Grandma (in a few years!!). So far so good." 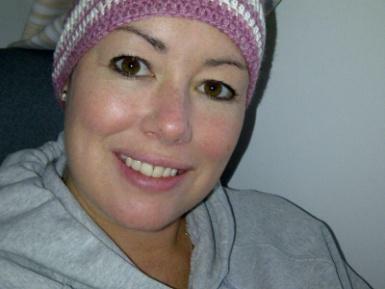 Jayne writes about her MDS diagnosis and treatments leading up to her stem cell transplant in July 2012. This article was published in the MDS UK Newsletter 3 – in January 2013 – and Newsletter 4 – Sept 2013. I am a wife, a mum of 2 teenagers, a sister, a daughter and a friend to many people but when I was diagnosed in February 2011 with MDS not one of my family or friends had heard of it. We all know it very well now! My symptoms had not been really noticeable and I was actually being investigated for another illness when the unusual blood counts were picked up. Although the diagnosis was a shock, it did at least explain why I was often tired and went to bed early! I managed to live as a ‘normal’ person – enjoying some very activity-based holidays in Cornwall and Turkey. However, in November 2011, we realised how my energy levels had deteriorated when I couldn’t get up the hill from the beach without assistance! My haemoglobin was found to be 7.5 so I had my first blood transfusion. I was advised by my Professor to prepare for a stem cell transplant later that year. However, a bone marrow biopsy in January 2012 revealed excess blasts (abnormal immature white blood cells). This indicated that the disease was progressing to leukaemia so the planned transplant date was brought forward. I went into St James’s, Leeds, in February and had 4 weeks of chemotherapy to reduce my blast levels. During this time I had 2 poorly days when I had a temperature of 40.2oC and had rigors (uncontrollable shaking) but the rest of the time I felt fine. Thankfully, this treatment was successful in reducing my blast levels to zero. Following recovery time at home, I went back to St James’s in April to do it all over again – just to make sure the blasts were totally eliminated. This time, I am glad to say I did not have one single poorly day. I lost all my hair after the first lot of chemo but made good use of a range of pretty scarves and hats -some even hand-crocheted by me! Now (July 2012), I am in hospital – 2 days before my stem cell transplant! I am currently having Campath dripped in through my Hickmann Line (this is a catheter placed into a large vein in the neck to administer medication). So far no adverse reactions. Tomorrow I will have total body irradiation and the next day I will be given lovely new stem cells from my 22 year old German male donor. How amazing that he is the one that will save my life and I don’t even know him. The whole process seems like a miracle. Jayne Snell updates us with her experiences of a stem cell transplant in July 2012, following a deterioration in her MDS in January 2012. Having completed 6 days of intensive chemotherapy and 1 dose of total body irradiation, my bone marrow was now destroyed. I was ready to receive my bag of stem cells. It was 6th July 2012. The bag of stem cells was so small!! Much smaller in volume than a blood transfusion. Amazing, that such a small bag can perform such miracles. They took 20 minutes to transfuse. I felt a bit warm and my cheeks were glowing. I looked the picture of health! And so my journey to health and wellness began. I have been very lucky that I have not really felt too poorly during my treatment. The hardest part for me was constipation! After 3 weeks I was allowed home. Unfortunately I had to go back into hospital twice shortly after being discharged because on both occasions I got an infection in my Hickman line. After the 2nd incident my Hickman line was removed and I have been well and at home since. For my first 4 months at home I did not venture into public places and I ate a special neutropenic diet. When I started going out, just before Christmas, I was very paranoid if I had too many people around me and would quite often hold my breath or nearly run away if someone coughed! I am pleased to say this has now passed and I did in fact go to a Rihanna concert in June! So one year on, on the 6th July 2013, Martin and I renewed our wedding vows and had our marriage blessed in our local church with immediate family around. Martin and I walked up the aisle together with our children, Matt and Jess. In the evening we had a party to celebrate my 1st “birthday”; this was also a fundraiser for Anthony Nolan and we raised £905. It is now August 2013. I am 98% donor. I have had my 1 year bone marrow biopsy to find out exactly how the transplant is working. I was very nervous about the results but they were promising. My blood is all ‘male’ meaning it is my donor’s. However, my lymphocyte count is low. I had my first DLI (Donor Lymphocyte Infusion) in July; so far there has been no graft vs host disease (GvHD). I will have another bone marrow biopsy in October, and possibly another DLI depending on my monthly chimerism tests. My biggest problem is the pain I have in my hips and legs. I am receiving physiotherapy and I also attend Pilates classes. Some of my muscles have switched off and it is really hard getting them to switch back on again! I would recommend anybody about to spend so much time in isolation and who may be relatively inactive to try and keep mobile and keep your muscles stretched and exercise where possible. One other major life change is that I no longer work for the company where I worked for 24 years. I am now a volunteer for Anthony Nolan, Register and Be a Lifesaver and I go into colleges to raise awareness of 17-19 year olds on the importance of donating blood, organs and stem cells and encourage them to sign up to become donors. I lived 42 years with my original blood and immune system; the plan is to live 42 years with my new blood (I changed from O+ to A+), to grow old with Martin, to see my children grow up and to be a Grandma (in a few years!!). So far so good.